Home »TV»Deadshirt is Watching»Deadshirt is Watching: A Series of Unfortunate Events and The Mick! Deadshirt Is Watching… is a weekly feature in which Deadshirt staff, contributors, and guests sound off on the television shows we’re tuned into, from intense dramas to clever sitcoms to the most insane reality shows. This week: A Series of Unfortunate Events and The Mick! 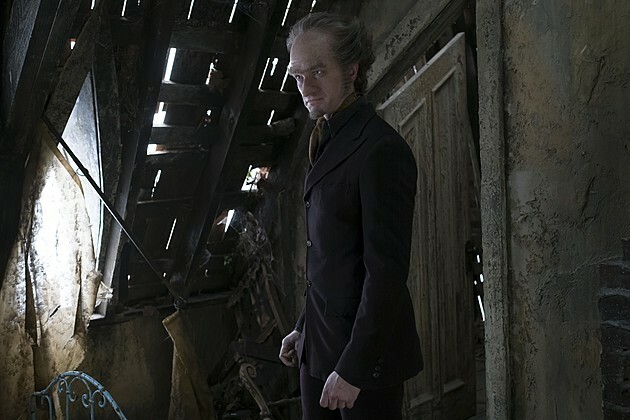 Lemony Snicket’s 13-part A Series of Unfortunate Events wasn’t really begging for an adaptation, let alone a long-form television miniseries. It’s a cult favorite of mine, but much of its aesthetic and humor relies on a large amount of wordplay and features the “unreliable narrator” as an actual character and major player in the overall story. The Nickelodeon film adaptation from a few years back was a fairly serviceable attempt, even if it was mostly a Jim Carrey vehicle that didn’t always serve the story. Netflix, currently in their let’s-throw-money-at-the-weirdest-projects-ever phase, fortunately understands the long game form of storytelling and they’ve given us a more satisfying introduction to the world of the ill-fated Baudelaire orphans. The first two episodes, based entirely off the first book in the series aptly titled The Bad Beginning, are a visual treat. Executive producer Barry Sonnenfeld, famous for Men in Black and infamous for Wild Wild West, brings a lot of the Burtonesque charm he’s known for. The majority of teleplays are written by Daniel Handler, the author of the series, who goes by the nom-de-plume Lemony Snicket both within and outside of his works. The show has a cold, plastic quality to it that evokes Wes Anderson, as well as classic silent film directors like F. W. Murnau and Robert Wiede. Everything looks like a movie set, and even the CGI has a very cheap quality to it (which works it its favor). The cast of the show is perhaps the best cast yet for a Netflix series. The kids are mostly young actors without many previous credits, although Violet (Malina Weissman) has been seen as young Kara in Supergirl and young April O’Neill in Teenage Mutant Ninja Turtles (2014). There’s some expanded roles from the book, including Mr. Poe (K. Todd Freeman) and later on we see the likes of Joan Cusack, Alfre Woodard, Aasif Mandvi, Catherine O’Hara, and Don Johnson. Patrick Warburton portrays Lemony Snicket, who pops up frequently to offer exposition or morbid meta-observations on the events transpiring. It’s a pretty great gimmick that captures the feel of the original books and never feels interruptive. But the real main dish is Neil Patrick Harris, who gives the primary villain, Count Olaf, an air of devious charm that doesn’t go too far into campy. Olaf is an incredibly meaty role for Harris—think of like an evil Barney Stinson who’s also unattractive and incredibly greedy. The show doesn’t shy away from the book’s darker moments either, including child abuse. A plot involving Olaf attempting to marry Violet, his adopted daughter, is played incredibly straight, with Olaf “flirting” with a literal child. Perhaps the biggest treat for fans of the book series are added characters accomplishing things in the backgrounds not previously seen. There’s an added subplot where Mr. Poe’s secretary is secretly manipulating the fate of the orphans in the background, making sure Olaf stays far away from his clutches. These sequences may seem a little alienating to first time viewers, since they’re more or less set-up for future stories in the series. Overall, this is a really solid start for what promises to be a definitive adaptation of this morbid yet fun series of books. Episode highlight: There’s a major reveal at the end of the 1st episode which features two previously unannounced cast members. It’s either a major twist on the fates of the two characters or perhaps something more but, regardless, it’s pretty exciting to see Will Arnett and Colbie Smulders play two married secret agents. 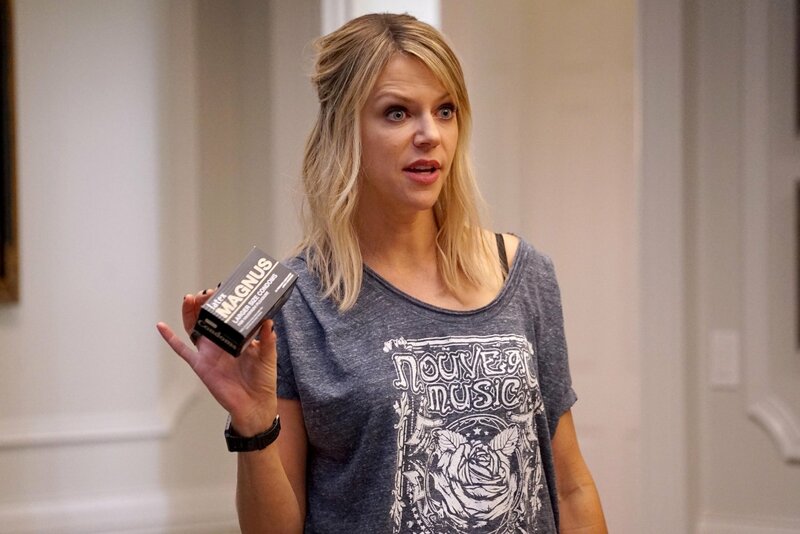 Kaitlin Olson vehicle The Mick could’ve easily been a quick, forgettable series. It features Olson playing a slightly more palatable version of her Dee Reynolds from It’s Always Sunny in Philadelpha, and surrounds her with a series of foils to bounce off of. Here’s her rich extended in-laws! Here’s her scummy, loser boyfriend! Here’s the naive, frumpy housekeeper! The thing is, it all works really well. There’s a surprising specificity of voice to the series, and the characters, despite being archetypal, are developed and whole. It’s a show that’s doing intricate stories you’d expect from a second season by its second episode, and it’s great. This week’s episode takes a basic “let’s scare off the teen girl’s boyfriend” story and turns it into an extended musing on birth control and sexual agency, without getting too preachy or heavy-handed. Everyone’s behaving pretty naturally in terms of what we know about the characters so far, and the jokes flow organically from the setup. While Mickey, Sabrina, and Chip are all as insufferable as ever, they also show a lot of vulnerability. This show’s characters set it apart from the standard midseason fare, and it’s nice for Olson to get the spotlight to shine in. Episode Highlight: Andy Favreau does a lot as Kai, Sabrina’s hunky but surprisingly principled boyfriend. But the highlight has to be the montage in the middle of the episode, which features a young boy shoveling birth control pills into his mouth as he cries because he thinks they’re magic. It’s not for everyone, but it’s a hell of a show.